Frank has returned to his childhood playground, a beach cottage near Queensland, to sort out his life after a devastating breakup, a relationship that inevitably ended when he became physically violent with his girlfriend. He loathes what he did, and runs to hide in a place that he thinks will comfort him. Once there, memories begin to eat at him, becoming so real that he turns his head and alerts to their arrival. He can’t relate to his new violent streak, and tries to analyze what has happened since his mother’s death that turned him. Violence would have been more appropriate, more expected, from his father or even his grandfather, both veterans of brutal warfare in Asia. As the novel continues, the narration explores the experiences of both of those men in war and at home. It’s oversimplified to say that war changed them, and Wyld doesn’t take us down that well-worn path. Rather, what makes this story complex is how it changed everyone else. Wives and girlfriends alternate between comforters and enemies, their every action subject to the random and unpredictable moods of their men. This novel focuses on the intimate details of these men and their lives in a setting of urbanization and change. Wyld describes subtle gestures and inner thoughts flawlessly, and invents these entirely new flawed characters like none I’ve read before. Her writing style reminds me of Tim Winton (my favorite author), with its focus on the Australian bush and seaside with their colors and plants and weather. An unexpected sweetness is found mixed in with the brutality of war. A really enjoyable story that makes me eager for her next book. This novel was recently nominated for Best First Book in the 2010 Commonwealth Writers Prize. Special thanks to K. Freeman at Knopf/Random House for the Advanced Review Copy. Excellent review - I hadn't actually heard of this book before. 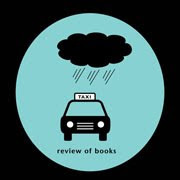 I've added a direct link of this review to the Aussie Author Book Review List (Mr Linky) for you. There is a link to that list of everyone's Aussie Author reviews on the Challenge Sign-Up Post. I stumbled upon this book at my local library, intrigued by the title. I'm so glad I found it - it's absolutely one of the best books I've read this year.